Top Paris events in October 2019 include two huge city-wide celebrations of art and culture, White Night (Nuit Blanche) and ParisArtistes. 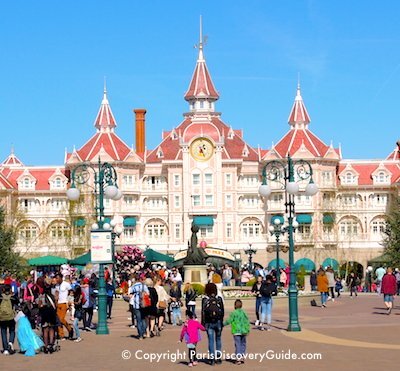 You can also have fun at the annual grape harvest festival at a historic vineyard in Montmartre, enjoy 15 days of music during Jazz sur Seine, and visit Disneyland Paris to see lots of Halloween decorations. But that's just the beginning. 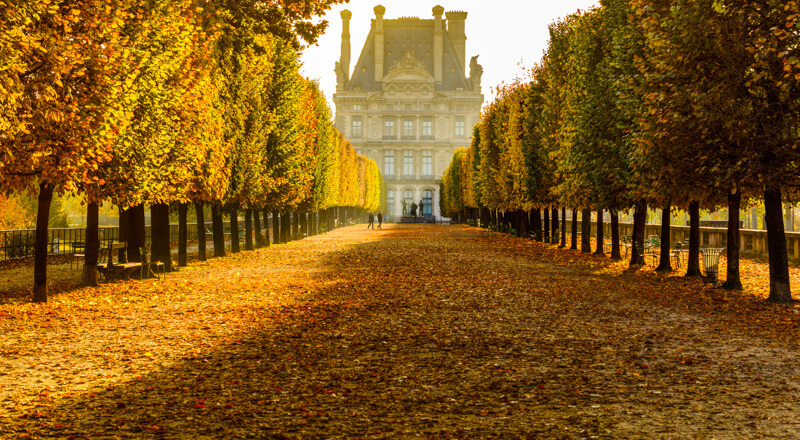 Look for exciting shows at all the major Paris museums, beautiful golden foliage throughout the city, and boutiques bursting with the fall collections. In even-numbered years, the world-famous Paris Motor Show brings over a million visitors to the city to see the latest automotive innovations. Paris weather during October continues to be mild, with balmy nights, making October a wonderful month to explore the city while enjoying fall foliage colors. Enjoy sidewalk dining outside your favorite bistro while the warm weather lingers, soak up fall colors in Parisian parks (we'll suggest the best! ), and in honor of Halloween, conjure up a few ghostly spirits in the city's famous cemeteries. You'll love visiting Paris in October! Just a reminder: Paris, France, and most other European countries end Daylight Savings Time (DST) on the last Sunday of the month - October 27 this year, so at 3am, move your clocks back by one hour. You get an extra hour of sleep! 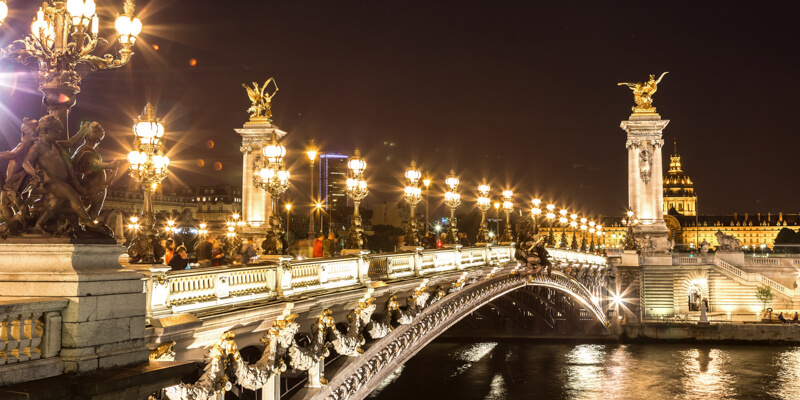 On October 6, Nuit Blanche (White, or Sleepless, Night) turns Paris into an all-night festival of lights celebrating the work emerging and established artists. Held annually starting at sundown on the first Saturday of October and continuing until sunrise on the following Sunday morning, this free event is one of Paris' largest and most popular cultural events as everyone stays up all night visiting the 100+ special art installations, concerts, dance and theatrical performances, elaborate light shows, and other artistic expressions. Although shows take place in museums, galleries, municipal buildings, and studios across the city, you'll find the highest concentrations in central Paris (3rd and 4th arrondissements) and northeast Paris (18th and 19th arrondissements). What's the easiest way to find out what's going on? You'll find a map here showing locations, addresses, and event information. Bonus: The Paris Métro runs all night for Nuit Blanche to enable everyone to get around easily. Montmartre's annual Grape Harvest Festival (Fête des Vendanges de Montmartre) takes place for five days through the second weekend of the month - October 9-13 this year. Almost half a million visitors came to the festival last year, making this the city's biggest event after Nuit Blanche and Paris Plage. The festival involves traditional wine-making activities such as stomping on the grapes, but there's a lot more to do and see: a parade with lots of music and folk dancing on Saturday morning, a lightshow on Saturday evening at nearby Sacré-Coeur (9-9:15pm), a wine-blessing ceremony followed by a dance ("Bal Dalida") on Sunday at nearby Square Louis Michel (7-9pm, free admission), appearances by many celebrities, and food and wine tastings plus kids events throughout the festival. In addition, numerous nearby small museums, galleries, and organizations host events during the festival. Most events are free but some require advance reservations. You can find a schedule and list of events at the Festival's website (mostly in French), or stop by Montmartre Tourist Office (21 place du Tertre) for information from the multi-lingual staff. In case you're wondering, the harvest of Gamay, Pinot Noir, and 26 other types of grapes comes from a vineyard believed to date from Roman times covering the hillside behind Musée de Montmartre (although current grapevines date from 1933). 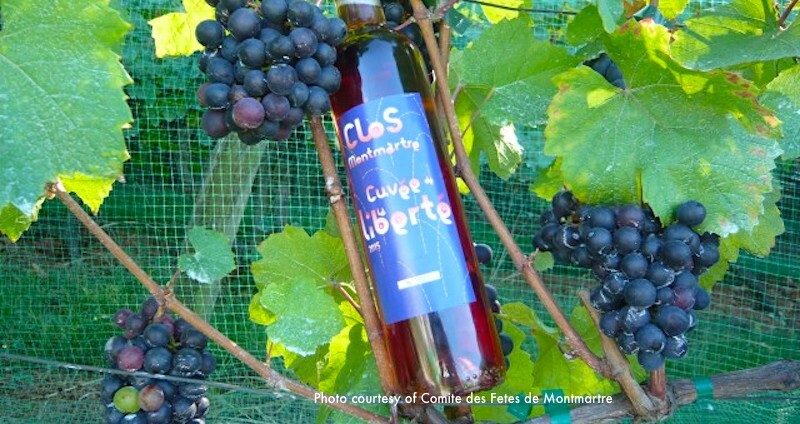 The 1,500 or so bottles of "Clos Montmartre" wine produced each year are auctioned to benefit local charities, but there are several other ways you can taste it: sample it at the Wine Festival or during one of the private "VIP" Montmartre tours that include the vineyard, or buy a small souvenir bottle for around 50 Euros at the Montmartre Tourist Office. Even though Halloween plays only a minor role in Paris decor and celebrations, you can indulge your Halloween fantasies at Disneyland Paris throughout October. 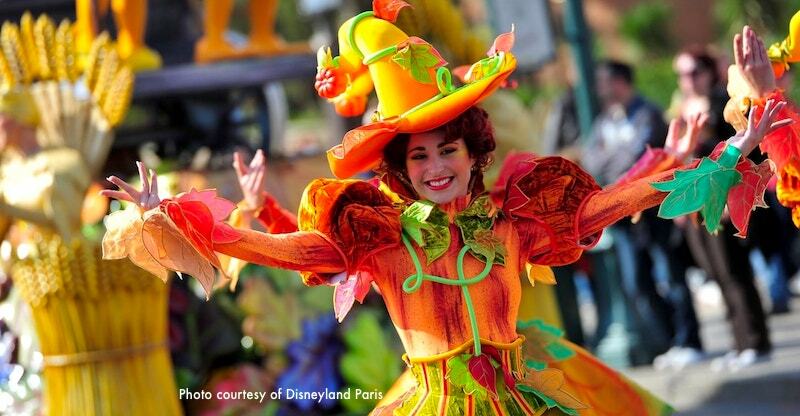 You'll find your favorite Disney villains, witches, and wicked stepmothers out and about, and plenty of spooky events adventures such as Mickey's Halloween Tricycle Gang, Goofy's "Skeletoon" Street Party, and lots of Halloween decorations everywhere. Celebrate Halloween in Paris at the Grand Rex movie theatre as they continue their annual tradition of showing Michael Myers' Halloween cult classic from 1978 followed by the newest one (original English versions with French subtitles) on October 31. First show is scheduled to begin at 8pm - but confirm the time closer to Halloween on the Rex website. Want to see your favorite American movie in Paris theaters but wonder if it will be shown in English? Look for movie listings that include VostFr - that means the movie will be screened in its original language with French subtitles. Location: 158 Boulevard Haussmann, 8th arr. Picasso: Blue & Rose Masterpieces! @ Picasso Museum, September 4 - January 2019 - This special exhibit brings together Picasso's recognized masterpieces from all over the world - some of which will be shown in Paris for the first time - and explores what "masterpiece" means in the context of Picasso's massive body of work. The huge Paris Motor Show, held every other year in even-numbered years, attracts well over 1 million visitors from 100+ countries around the world who come to see the latest automotive innovations and the cars of the future. This year, 2019, is an OFF year! What can you expect to see and do? Almost 250 car brands will be showing their glitziest models and technologies, including autonomous vehicles. Check out (and even sit in) your favorites, attend presentations, watch videos, and revel in the latest and greatest cars of your dreams. If you're visiting Paris while this show is underway, be aware that the city's hotels will be filling to capacity as over half the Paris Motor Show visitors coming from outside of Paris - so make your reservations early! Music - specifically, jazz - fills the air during the Paris Jazz Club Association's massive event featuring almost 200 concerts at 25 different clubs between October 12 - 27. This is a wonderful opportunity to hear well-known artists such as Carla Bley as well as many who may be new to you, and also to become explore Paris's lively jazz scene, considered second only to New York. Ticket prices vary according to venue and artist. At small clubs, just the cost of a drink or a 10€ cover will get you in. Other shows require tickets, mostly in an affordable 12€-35€ range. Parisians call Père Lachaise Cemetery in the Menilmontant neighborhood in far northeast Paris la cite des morts - the city of the dead - and its rolling hills, elaborate monuments, and haunting beauty makes it easy to imagine the spirits of those buried here, including Marcel Proust, Collette, Molière, Baron Haussmann, Isadora Duncan, Yves Montand, Simone Signoret, Frédéric Chopin, Oscar Wilde, Modigliani, Delacroix, Victor Hugo, and Jim Morrison of The Doors. Montparnasse Cemetery, a tranquil expanse in a part of the 14th arrondissement once popular with early 20th century artists, intellectuals, and writers is where you'll find the graves of Simone de Beauvoir, Jean-Paul Sartre, Charles Baudelaire, Serge Gainsbourg, Susan Sontag, and Eugène Ionesco. Filled with dappled light on sunny days but never really gloomy even in the rain, it's where you'll often see neighborhood residents out for an evening walk. 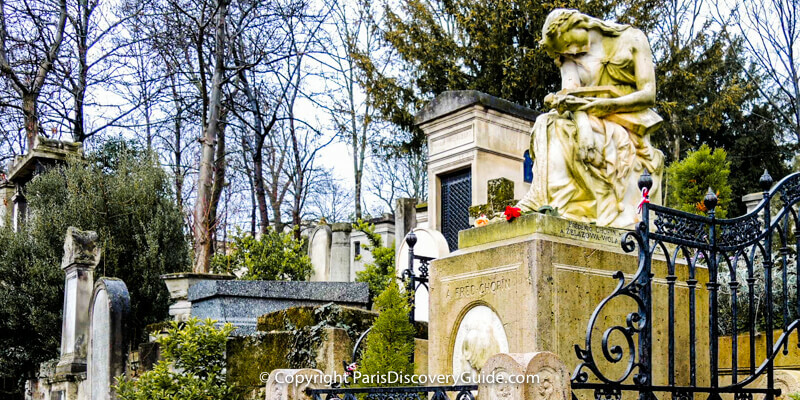 Montmartre Cemetery, smaller and with quirkier monuments than the other two cemeteries, stretches across hills and shadowy hollows in the southeast corner of the arty Abbesses Butte Montmartre quarter. Reputedly home to a band of feral cats, it usually attracts only a trickle of visitors compared with other major cemeteries. It's the final resting place for a number of the creative elite including François Truffaut, Gustave Moreau, Heinrich Heine, Stendhal, Alexandre Dumas, Dalida, and Edgar Degas. See the latest developments in art as over 1,500 artists show their current work at FIAC, the huge international contemporary art fair from October 18-21. You'll see sculptural works and installations in the Grand Palais, inside and adjacent to Petit Palais, and on the grounds of Tuileries Garden, Musée Delacroix, and Place Vendôme. 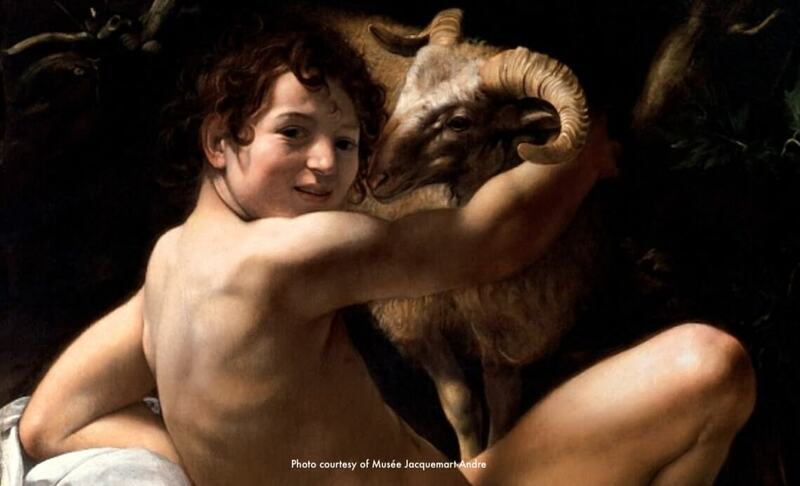 Five of the city's top modern and contemporary art galleries are also participating. Other events include films, parades, music, and performances at a variety of locations. Part trade show, part entertainment, the Salon du Chocolat lets you immerse yourself in all things chocolate as over 200 chocolate producers, pastry chefs, candy makers, and artisans from around the world present five days packed with activities and events. You can attend cooking demos by top chefs at the Pastry Show, discover the wonders of chocolate at the Cacao Show, indulge in tastings at the Chocosphere, and enjoy a fashion show with models dressed in chocolate. Kids love the fun workshops - and of course, the chocolate. ParisArtistes takes place every other year in odd-numbered years - so look for it again in 2019. Paris turns into a city-wide art show on October 3-5 (to be confirmed for 2019) when ParisArtistes features the work of 150 top painters, photographers, sculptors, and other artists hosted by more than 40 galleries, design centers, studios, 4- and 5-star hotels, and public spaces across the city. With free admission to all venues, it's your chance to see the best of contemporary art being created right now in Paris. You can even meet the artists at many of the shows. Hours vary by location, but Friday 6pm-10pm, Saturday 10am-8pm, and Sunday 11am-5pm is typical. You can find a map, addresses, and detailed schedule at the ParisArtistes website. If you're visiting Paris, these shows let you see lots of exciting art while giving you a great excuse to explore the surrounding neighborhoods at the same time. Want to Save on Your Paris Hotel? 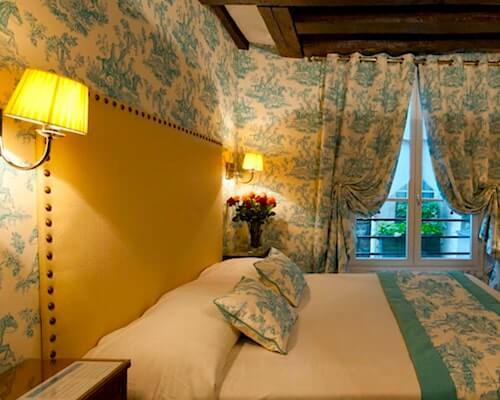 Check our tips on how to find discounts, deals, and bargains for Paris hotels. 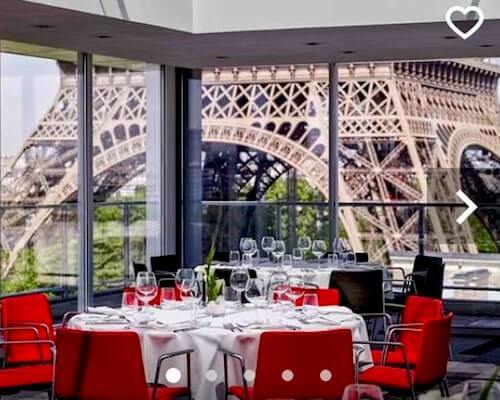 Whether you're looking for cheap accommodations or want to pay less for luxury, we'll show you How to Save on Hotels in Paris. Top 10 Paris Attractions - Places and sights you won't want to miss! Paris Arrondissement Map & Paris Neighborhoods - "Getting Around Paris 101" - See at a glance where all the top attractions are located! 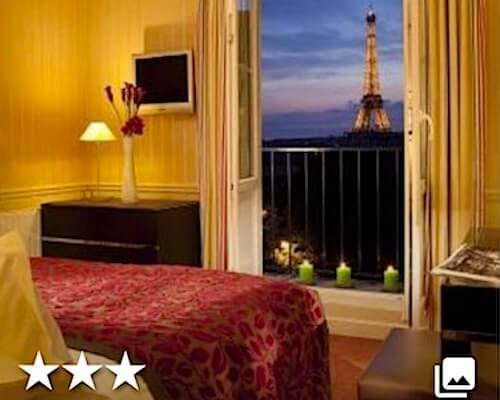 What do star ratings mean at Paris hotels? Hotel or apartment? Which should you choose? What are Paris Palace Hotels? Please note: Although we do our best to ensure that content on ParisDiscoveryGuide.com is accurate, information can change at any point without our knowledge. Please confirm all details with the sponsoring organization prior to visiting attractions or attending events. Copyright © 2013-2019 Paris Discovery Guide®. All rights reserved. 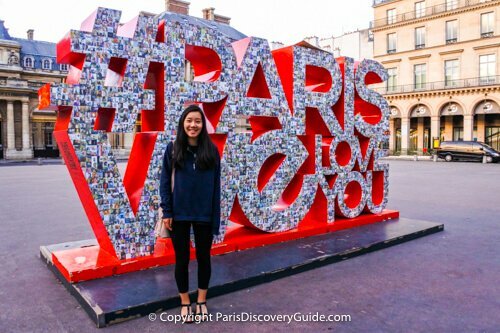 Paris Discovery Guide® is a Registered Trademark. Content and original photos protected by DMCA.